Posted in: 1 Pageant Pages, 2 Shout-out-Looks, 5 TV Tales. 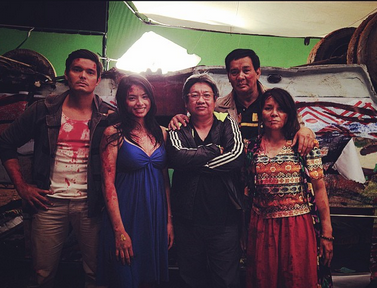 Tagged: Andrea Torres, Dingdong Dantes, GMA-7, Jaclyn Jose, Megan Young, Sid Lucero. Miss World 2013 Megan Young has really immersed herself back into TV acting. After her successful comeback as “Marimar” last year, she is now ready to do heavy drama in her next project with GMA-7 where she will star opposite actor Dingdong Dantes and test her acting chops with Cannes Film Festival Best Actress Jaclyn Jose and character actor Sid Lucero. This is such a welcome assignment for the former Miss World because she was already into continuous serious acting prior to winning the blue crown in Bali last 2013. And given the advocacy-driven theme of the still-untitled teleserye, she is excited to be part of another ground-breaking series for the TV network. Posted in: 1 Pageant Pages, 2 Shout-out-Looks, 5 TV Tales. Tagged: Dingdong Dantes, GMA Network, Megan Young, Miss World 2013, Starstruck. Miss World 2013 Megan Young is back to the network where she originally started her showbiz career that was beautifully interrupted last 2013 when she joined and won Miss World Philippines before claiming the blue crown in Bali, Indonesia the same year. Queen Megan signed a one-year exclusive contract with GMA-7 where she is initially slated to host “Starstruck” – the reality-based artista search where was once a part of as a contender – with actor Dingdong Dantes. After this, the buzz is that she will finally return to full-time acting via a lead role in a teleserye which is still under wraps for now. Posted in: 5 TV Tales. Tagged: Afternoon Prime, Andrea Torres, Chynna Ortaleza, Dingdong Dantes, Gabby Eigenmann, GMA-7, Jestoni Alarcon, Kylie Padilla, Marian Rivera, Mikael Daez, Rita Avila, Sana ay Ikaw na Nga, Ynna Asistio. Andrea Torres and Mikael Daez have waited long enough. Now is the time to look out for each other’s star to shine bright in the biz. 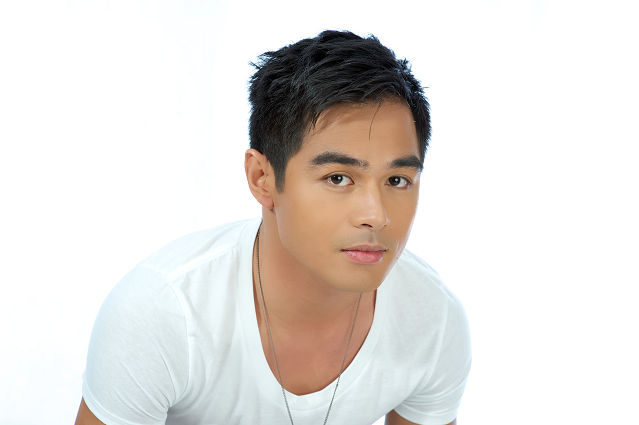 I’ve always felt good for showbiz personalities who get their much-anticipated big breaks after waiting in the wings long enough and paying their dues by taking on projects which tend to pigeon-hole their talents in supporting roles one after another. 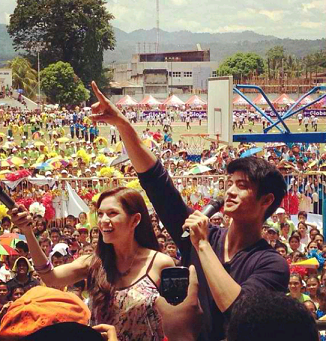 Such is the case of GMA-7 exclusive artists Mikael Daez and Andrea Torres. 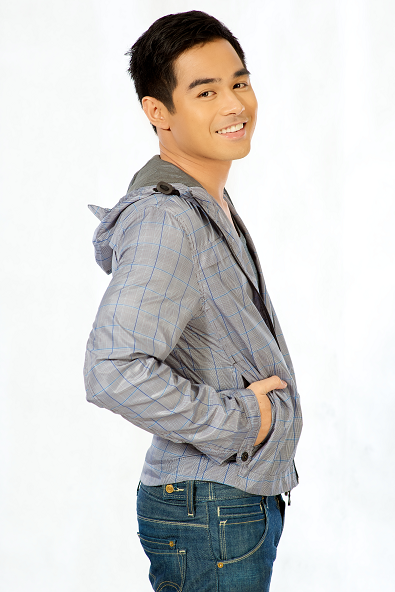 Prior to their rise to lead status in the upcoming GMA-7 teleserye remake “Sana Ay Ikaw Na Nga” (literally translated to English as “Hope It’s Really You”), they spent their time playing featured characters to the likes of Dingdong Dantes and Marian Rivera (in “My Beloved” and “Amaya“) and even the relative newbie Kylie Padilla (in “Blusang Itim“). It was probably the network’s way of testing their patience. And it paid off, quite handsomely I must say. Afternoon Prime is a treasured block of GMA-7 since all its soaps airing from 3pm-6:30pm are constant top-raters, aside from making its stars more popular and bringing them closer to the masses. There was a time when the cheers of the fans were for the lead stars. Mikael and Andrea are now the center of attention and getting the well-deserved adulation of the crowds. “Sana Ay Ikaw Na Nga” will ‘make-or-break’ Mikael Daez and Andrea Torres. But I can confidently say that it will ‘make’ them more than spoil their respective bids for stardom. The handsome-looking loveteam is working non-stop to promote the soap, making guest appearances whenever possible and gracing a string of network-sponsored regional caravans to insure its success. Of course, it goes without saying that they are also pouring a big chunk of their time taping with the well-assembled supporting cast of actors and actresses which include Gabby Eigenmann, Chynna Ortaleza, Rita Avila, Jestoni Alarcon and Ynna Asistio. Posted in: 6 The Movie Corner. Tagged: Agosto Dos Pictures, Angel Jacob, Angelica Panganiban, Bangs Garcia, Bb. 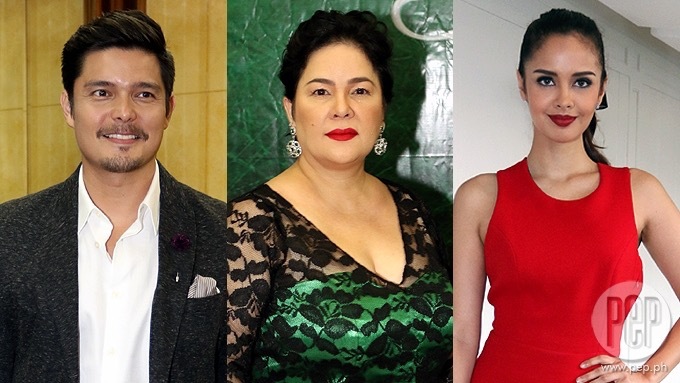 Joyce Bernal, Dingdong Dantes, Helen Gamboa, Jhong Hilario, Kris Aquino, MJM Production, Segunda Mano, Sofia Millares, Star Cinema. 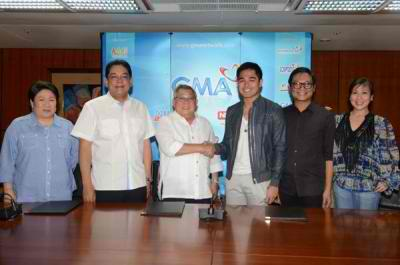 The annual Metro Manila Film Festival will start on Christmas day. Among this year’s entries is a horror-drama which teams up Kris Aquino and Dingdong Dantes for the first time. 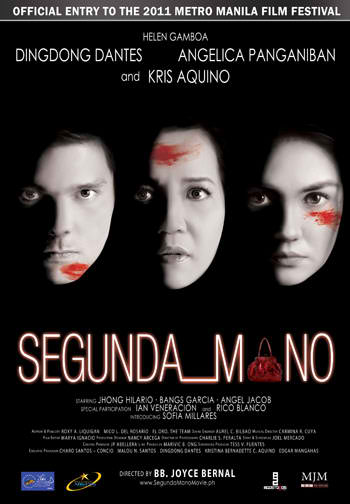 The movie, “Segunda Mano” (Second-hand) is all about a pre-owned red handbag that brings about a string of misfortunes and strange, terrifying circumstances to its new owner and her loved ones. The movie is a co-production of Star Cinema, Kris Aquino’s MJM Production, and Dingdong Dantes’ Agosto Dos Pictures. It also stars Angelica Panganiban, Helen Gamboa, Jhong Hilario, Bangs Garcia, Angel Jacob and introducing Sofia Millares. Bb. Joyce Bernal directs. Catch “Segunda Mano” in your favorite multiplexes starting December 25.